Last week I shared a video on how to hard boil an egg in my Deviled Egg post. Another great use for hard boiled eggs is egg salad. We often have egg salad around this time of year, because we end up with a lot of hard boiled eggs left over from Easter. I don’t really like to use the eggs leftover from egg dying activities, because the dye goes through the shells and colors the egg white. My husband eats them anyway, but I really don’t want to eat food dye or rainbow egg salad for that matter. Eggs are of course a great source of protein. 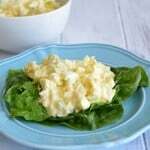 Egg salad is a great lunch choice either as a sandwich, on a bed of lettuce, or by itself. 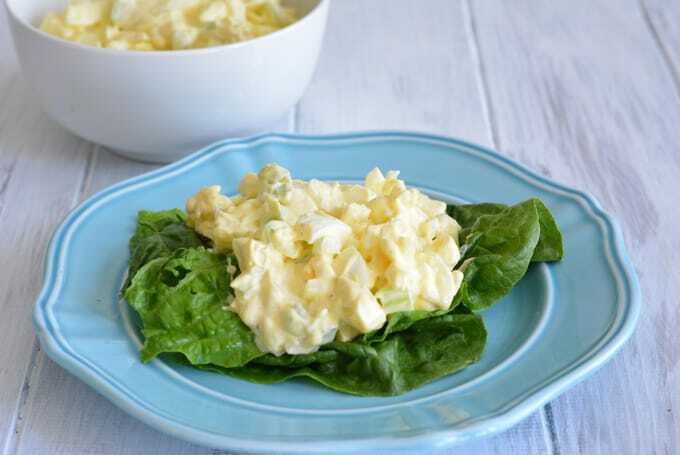 After hard boiling the eggs, egg salad is quick and easy to prepare. Mayonnaise is generally used in egg salad. To cut down on the fat content I like to use non fat Greek style yogurt to replace some of the mayonnaise. The taste is not changed at all. No one will ever know the difference! Slice and cube hard boiled eggs and place in a medium sized bowl. Add into bowl celery, onion, mayonnaise, yogurt, and seasonings, stir to combine. 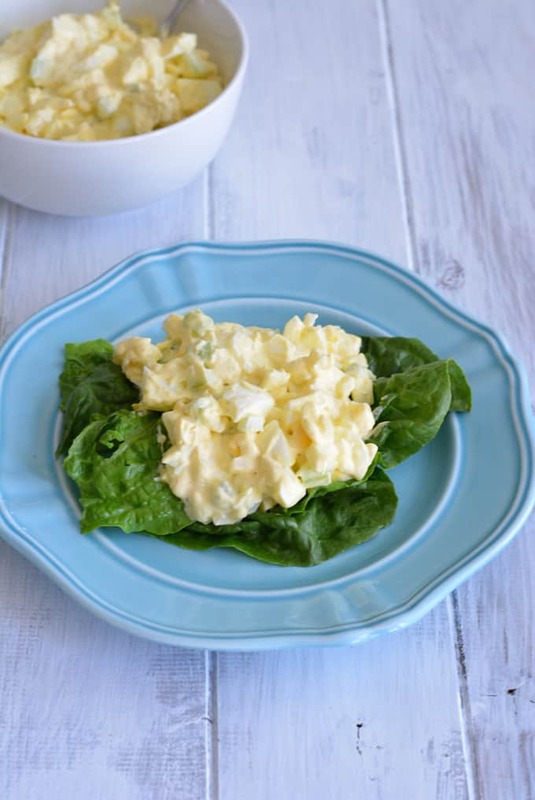 You can never go wrong with a simple egg salad! 🙂 I love that you used Greek yogurt in this.